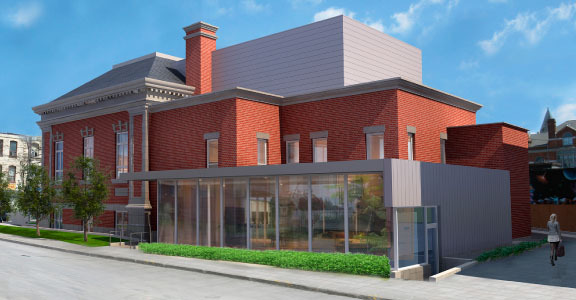 After a $6.2 million renovation, The Theatre Centre will occupy a former Carnegie Library in the West Queen West arts and design district. 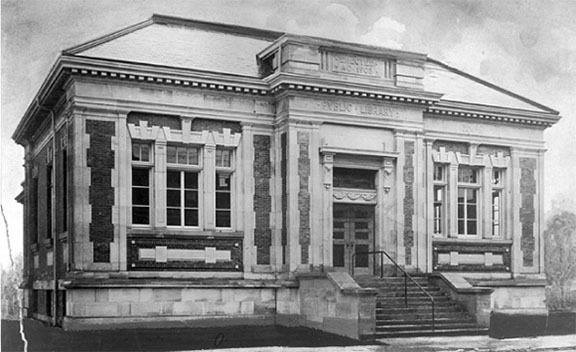 Built in 1909, the library served the community until 1964. It was constructed as part of the Andrew Carnegie grant program that helped finance 125 free libraries in Canada between 1903 and 1924. Other Carnegie libraries in TORONTO – the Yorkville Branch and the Riverdale Branch at Broadview and Gerrard Street East. Project design is by Goldsmith Borgal & Company (GBCA), known for their award-winning National Ballet School in TORONTO, and 45 other museums and cultural sites across Canada. This entry was posted in Development and tagged Canada, Ontario, The Theatre Centre Toronto, Toronto, West Queen West. Bookmark the permalink.